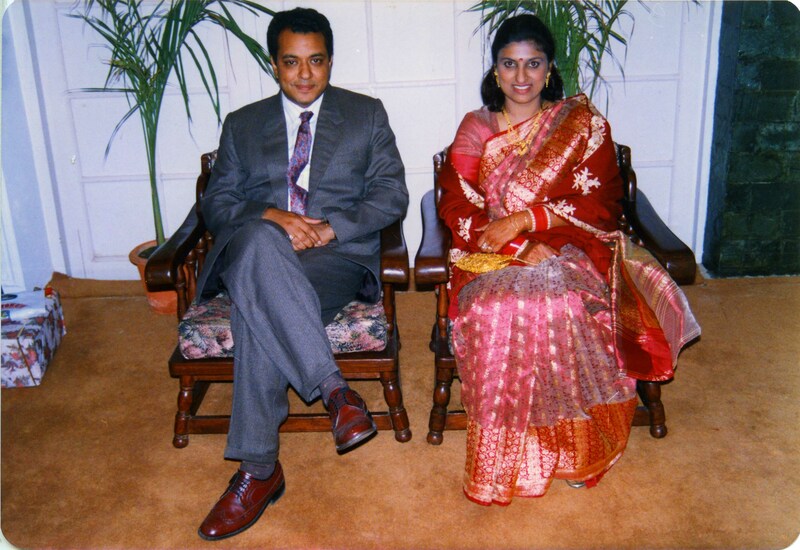 File contains photograph of Manhar Jagota with wife Deepti Vijh on their wedding day. Manhar Jagota is the son of S.P. Jagota. Photograph was originally filed in the Administrative records of the International Ocean Institute, Correspondence, MS-2-744, Box 279, Folder 1.